This is a fun painting activity that involves getting out and about as well as fun at home. 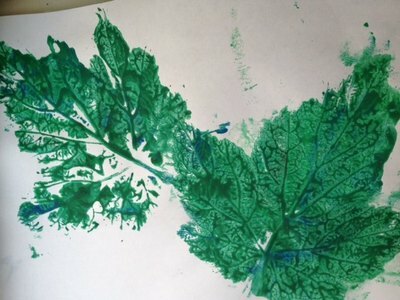 Leaves, feathers, sticks and stones can all be used to make some great prints. 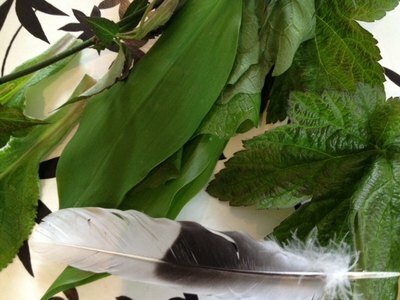 Leaves, feathers and anything else that looks interesting of different sizes and shapes. Take a walk outside and bring a small bag or bucket for collecting your finds. 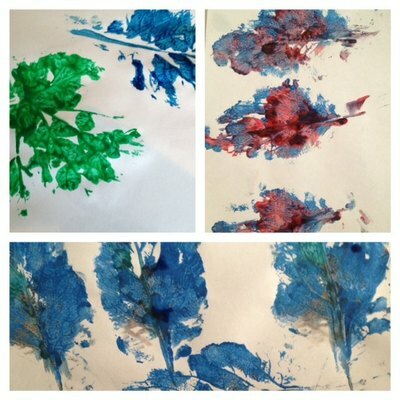 Look for leaves, sticks and anything else interesting you might want to paint with. You can talk about colours and textures. This is a great activity in itself and it's always good to get some fresh air and exercise on a sunny day. When you get home, lay out all your treasures. Put some paint in different pots. 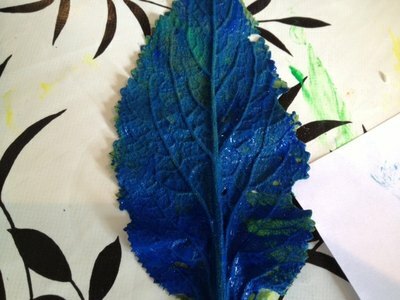 Paint the back of leaves as the veins are more defined and look great when stamped on paper. 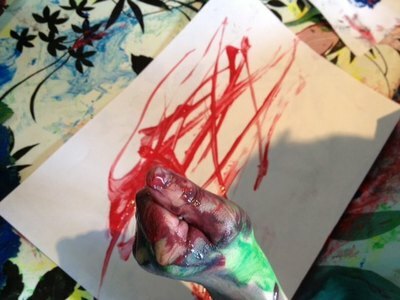 Even a feather is fun to use as an alternative to a paintbrush, making a swish over the paper.